This is the history of the Government Departments as they came to being and developed between 1815 and 1947. 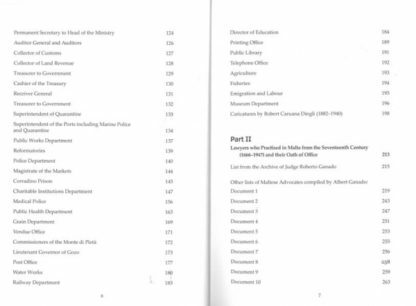 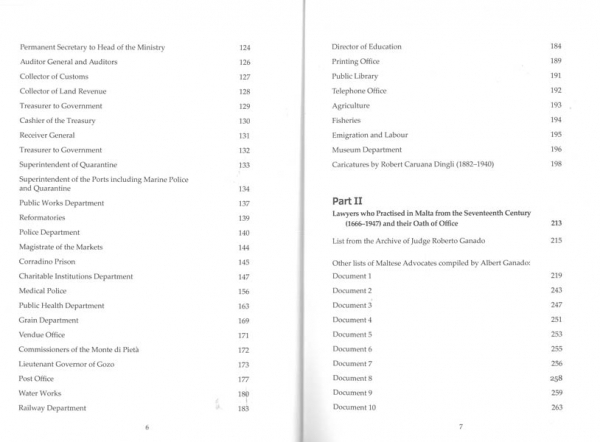 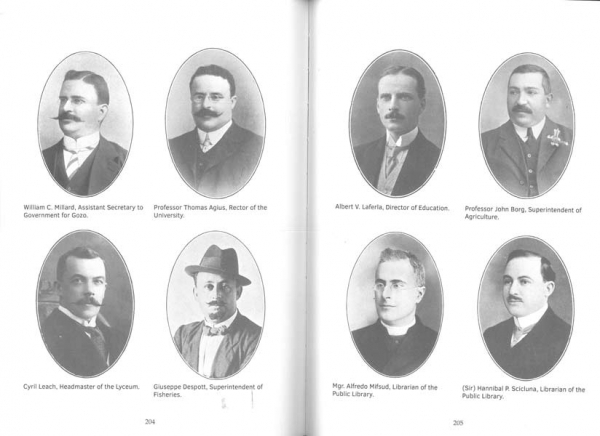 It also lists the heads of departments with the period during which they occupied their respective offices. 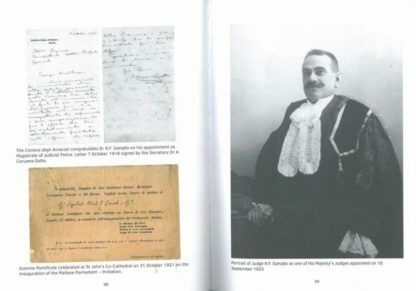 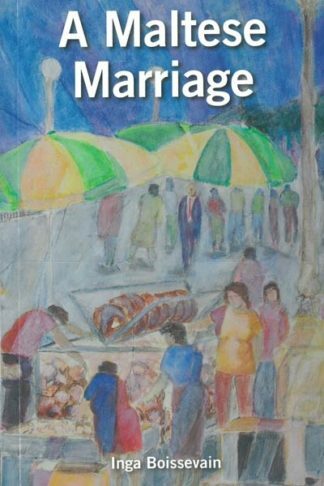 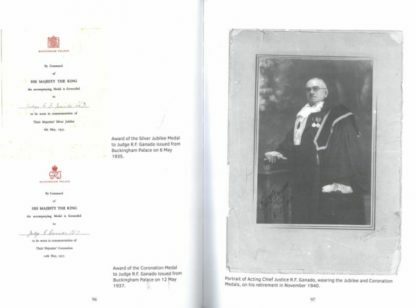 It is being published from the manuscript left by Judge Roberto Federico Ganado, whose biography and pictures form part of the book. 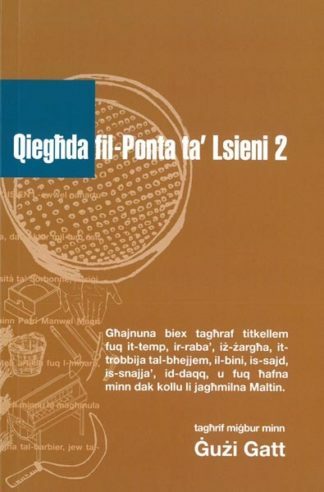 Features of folkloristic interest have been included. 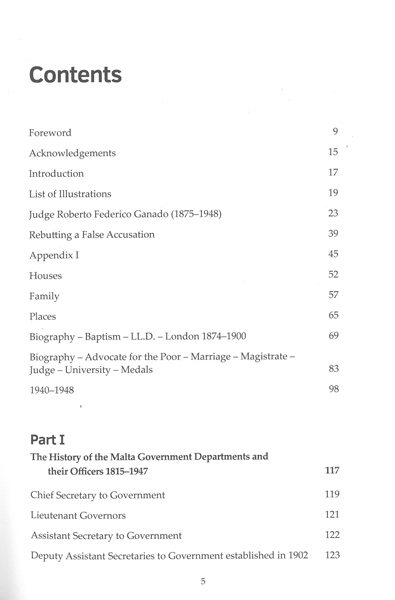 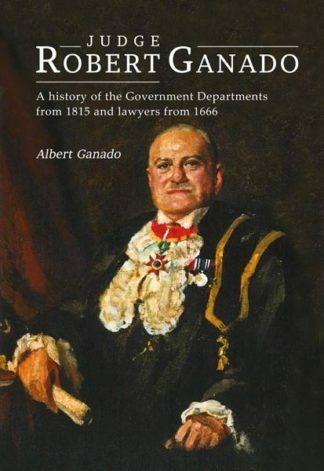 In the second part of the book there are ten lists of lawyers who practised in Malta from 1666 onwards compiled mostly by the editor. 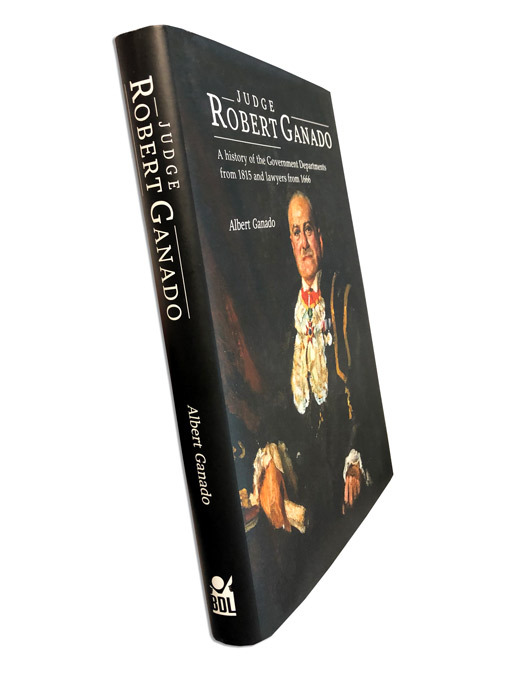 Apart from portraits and illustrations associated with Judge Ganado and his family, there are several portraits of government officers of the various departments and of all the Presidents of the Court of Appeal and the Chamber of Advocates.